What’s Going on With Retail?. HOW IMPORTANT IS CARPET CUSHION? Cushion does far more than just help your new carpet or rug feel good when you walk on it. Cushion has many jobs. Cushion or “Padding” as it is still referred to. is first and foremost, the foundation for your carpet. I’ve linked this post to the Carpet Cushion Council, the industry expert when it comes to carpet cushion. It can be made of varying materials, from rubber and urethanes to combinations of hair and jute. 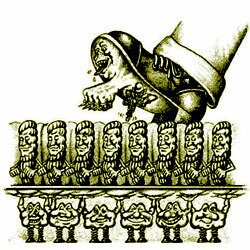 Cushion’s main job is to enhance comfort and durability by absorbing foot traffic. It also keeps carpet from separating from it’s backing or pulling apart at the seams. Cushion helps prevent carpet from wrinkling or buckling and matting, looking worn down before its time as it reduces noise and improves insulation between levels of your home. Cushion also supports your carpet and helps air flow during vacuuming, increasing cleaning efficiency. Know this; cushion needs to be matched to your carpet. Often times using the wrong kind of cushion can void the warranty of your carpet. This reinforces the concept that your carpet and cushion work as a system. Check with your flooring retailer to ensure you follow the carpet manufacturer’s recommendations for weight, density and thickness. Look for cushion that is actually promoted to extend your carpet’s life. Modern quality cushion also has acquired some new talents. Better -quality cushion products act as a moisture barrier to protect the subfloor from spills; provide permanent, self-activating enzyme treatments to fight offensive odors and stains; include treatments to fight mold and mildew and bacteria. When purchasing carpet cushion, talk with your floor covering professional about the cushion that works best with your carpet. Always check to see if your cushion or any carpet product, for that matter has received the Carpet & Rug Institute (CRI) Seal of Approval. Tile Council of North America (TCNA) and Fabulous Floors Magazine are pleased to announce the release of Tile For Your Lifestyle, a resource guide for consumers, designers, and architects that showcases tile as the design element it truly is. Consumers and designers alike will learn about tile types, such as ceramic, porcelain, natural stone and glass. She will see metal accent pieces, moldings, insets and other decorative elements that can make a bathroom or kitchen floor a work of art. Rich, full-color images will stimulate ideas for her own home remodeling projects. The most valuable benefit for the flooring industry will come into play when pros use this publication as a training tool: Manufacturers educating their distributor representatives about materials and installation methods. Distributor reps teaching their retailers about styles and applications. Sales associates helping their customers during the decision process by genuinely adding value and imparting knowledge. The customer going home with the resource guide so she doesn’t lose that all-important connection to the retailer. TILE… For Your Lifestyle will cover the spectrum from the history of tile to the latest decorating ideas. This 80-plus-page publication will be a resource and reference for everyone from the distributor to the consumer – a “must have”. Whether used by a homeowner to get some ideas for remodeling a kitchen or an architect specifying tile for a commercial project, Tile For Your Lifestyle beautifully presents ways to make any space exceptional using tile. This 80-page inspiration gallery is a must have for anyone considering using tile in their project! Available Oct. 15th at Barnes and Noble, Books-A-Million, Hastings and other high-end, independent booksellers, Tile For Your Lifestyle explores tile materials and trends, shows tile’s beauty and versatility, and discusses tile’s low life-cycle cost and a new standard for sustainability. Also included is a section on how to select an installer with verifiable knowledge and skills – a vital, yet often overlooked part of achieving the installation of one’s dreams.. In addition, this special interest publication will be sent to ASID and AIA members. The resource guide in its entirety – including all advertising – will also be posted to TCNA’s website (www.tileusa.com) and to fabulousfloorsmagazine.com. Fabulous Floors Magazine was founded in 2003 and is a quarterly consumer publication. Fabulous Floors is distributed nationwide and internationally. Tile Council of North America (TCNA) is a trade association representing manufacturers of ceramic tile, tile installation materials, tile equipment, raw materials, and other tile-related products. Since 1945, Tile Council has been serving the U.S. ceramic tile market and more recently the Canadian and Mexican markets as well. Just Shorn brings together elegant carpet with sustainability, style and durability. 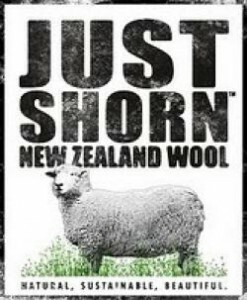 As you begin your search for new carpeting or rugs, you may have sustainability on your mind, and you will likely notice that the “green” trend has brought a larger selection of wool flooring options.For example, from New Zealand comes a fascinating initiative called Just Shorn®. Born from a partnership between a group of pioneering New Zealand sheep farmers and a long established agricultural business, Just Shorn assures customers that they are purchasing some of the world’s most beautiful carpeting, created from the natural and renewable resource of New Zealand wool. The Just Shorn® label provides confidence that the beautiful flooring is made from natural, sustainable materials and can be traced back to New Zealand at any stage in the manufacturing and sale processes.Traceable- Once Just Shorn wool is harvested through a shearing process that is harmless to the sheep and hand-selected based on color (only the whitest for superb dyeing), fiber length, thickness and even resiliency, it is cleaned and processed. It is never blended with inferior yarn fibers. To ensure that, a microscopic amount of “tracer” fiber is inserted into the wool to verify and “track” the authenticity of the Just Shorn® product . Where can you find Just Shorn? As the newest addition to the exclusive Dabbieri Collection of floorcovering, Just Shorn® wool carpets can be found in North America’s premier, independently owned showrooms—honored for excellence in quality, knowledge and service through membership in the International Design Guild. Members of the International Design Guild have decorative home furnishings showrooms across North America that dominate the luxury floor covering market. The Dabbieri Collection offers flooring that coordinates easily with traditional and contemporary interiors. Dabbieri is the ultimate in style and fine craftsmanship, created in an array of colors and patterns. For more information on the Just Shorn ® program and especially to see a portfolio of carpet and rugs, visit http://justshorn.com/. A Celebration of the ‘quiet’ fiber…. The special campaign was launched by His Royal Highness The Prince of Wales last year in the United Kingdom. It brought wool to the forefront of the textile industry and saw global brands support the aim of the campaign; to make the consumer more aware and understanding of this natural and sustainable fiber. 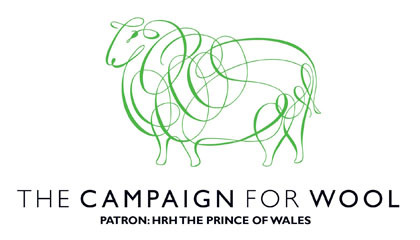 The Prince is a true environmentalist and understands the ways in which choosing wool can benefit the individual and the home whilst also supporting the important balance of our environmental infrastructure. This year the Campaign for Wool will begin a major initiative in the USA, working with quality wool manufacturers and promoting the benefits of the fiber within the product. A broad platform of initiatives will see wool promoted in a more consistent and creative way. It will be an exciting time for the quiet fiber of the flooring industry. Look for more information on the Campaign for wool coming soon!